Situational awareness: Comcast won the bidding war for Sky, paying £17.28 per share, or $39 billion. The winning bid was $3.6 billion more than the rival £15.67-per-share offer from Fox, which already owns 39% of Sky. Be smart: If Fox valued control of Sky at £15.67 per share, it has to value its 39% stake at much less than that. Ultimately, then, Fox is almost certain to sell its stake to Comcast. The only question is whether it will simply tender its shares now, for cash, or whether it will hold out for a more strategic deal. The world's smallest violin is playing for the owners of English Premiership soccer teams, who will no longer be able to play Comcast off against Sky for their TV rights. With her Conservative Party's annual conference looming later this month, U.K. Prime Minister Theresa May went to Salzburg this week seeking buy-in from Europe's leaders for her highly controversial Chequers plan. What she got instead was humiliation and disaster. The Chequers plan was always unacceptable to Brexiteers in May's Cabinet: Both her Brexit secretary and her foreign secretary resigned rather than sign on to it. As such, it was always going to be hard to get it through the U.K. Parliament. Now, Europe's leaders have made it abundantly clear that the plan is even less acceptable to the EU. May took office in 2016 with a single mandate: to deliver a workable Brexit. The message of Salzburg is that she's incapable of delivering on that mandate. Be smart: The U.K.'s ties to Europe, especially along the Irish border, are far too complex and interconnected to easily disentangle. A successfully negotiated Brexit was always less likely than one of the corner solutions. A "no deal" hard Brexit would be bad for Europe and disastrous for the U.K., despite May's continued assertions that it would be preferable to a "bad deal." A "remain" deal, where the U.K. changes its mind, is still on the table, at least as far as the EU's leaders are concerned. The problem is that May has consistently ruled out a second referendum. The Europeans are past masters at kicking the can down the road, but it's increasingly hard to see how they'll be able to kick this one any further than the March 2019 Brexit deadline. May's political career has already lasted longer than anybody thought it would, largely thanks to the absence of a credible alternative prime minister. But May has now lost all credibility herself. The bottom line: We are very close to the worst-case scenario for Brexit negotiations where positions become entrenched, goodwill evaporates and brinkmanship leads inexorably to disaster. The chances of Britain and the U.K. successfully "muddling through" beyond March 2019 have never been lower. We are now, officially, in a full-fledged trade war. Effective Monday morning, President Trump will be taxing half of China’s imports into the US, with aggressions set to intensify further in January when the tariff rises from 10% to 25%. Trump's bigger-picture view is well-known: "TRADE IS BAD." That's all trade, not just trade with China. So be wary of rushing to the conclusion that Vietnam and other southeast Asian countries could end up being the winners in this trade war, as companies move their operations out of China. More realistically, as in most trade wars, there will be no winners at all. The trade war could become a currency war if the Chinese government continues to keep weakening the yuan as tariffs hit domestic exporters. That's not a likelihood, yet, but it's something to worry about. Trump doesn't begin to understand Ricardo's principle of comparative advantage, and he also doesn't understand tariffs. (He thinks they're paid by China, when in fact they're paid by American importers.) When the guiding principle at the top of the US government is "trade is bad," it's hard to see what would cause this war to end. This trade war could last for decades, if not forever. American voters share Trump's ignorance of Ricardo, which means that there's not much political incentive for a president of either party to rapidly normalize trade relations. Canada is in the crosshairs, too: Trump has threatened its "ruination" in the event that a new NAFTA deal isn't reached. So far, market reaction to the trade war has been muted. That's bad news. If the tariffs had been greeted by a 900-point plunge in the Dow, Trump might take the wails of pain more seriously. Alibaba's pledge to create 1 million US jobs has already been vaporized. It won't take long for real jobs to go the way of hypothetical ones. Are you gaining confidence in your country's economy? If you're American, German, Japanese or even Russian, the answer's probably yes. The Italians, by contrast, are much less sanguine. Axios' Stef Kight goes deeper. Globally, on the other hand, the world is reaching record levels of unhappiness, per an annual Gallup survey, with Africa particularly unhappy. "Collectively, the world is more stressed, worried, sad and in pain today than we've ever seen it." 41% of Americans who earn over $200,000 a year have cried because they didn’t have enough money. In an age of social media, almost everybody feels status anxiety — the pressure to present to the world a false view of how effortless and carefree their lives are. The result is costly embarrassment. One respondent gave up a job opportunity rather than admit that they needed help with the bus fare to get to the interview. We're desperate for help with knowing if we're being paid fairly. For example, 70% of women feel that they are not paid what they deserve, but have no access to salary evaluation services. We also need help with budgeting and saving. The financial-services industry does a dreadful job of addressing these problems, and the problems are getting worse. Millennials are 40% more likely to overdraw their checking accounts if they use mobile payments, according to a new financial literacy report from the TIAA Institute. Mobile payment users were also more likely to make withdrawals from their retirement savings accounts and engage in high-cost borrowing activity. Existing budgeting tools don't help. Millennials who use their mobile devices to track their spending are 25% more likely to overdraw their checking account. By the numbers: 5% of Americans with checking accounts rack up more than 50% of all the country's overdraft and bounced-check fees. It's a $35 billion income stream for the banks, even after Dodd-Frank. Needless to say, those 5% of Americans are precisely the people who can least afford to pay dozens of fees per year at an average cost of $35 apiece. Varo Money recently received preliminary authorization to become a national bank from the Office of the Comptroller of the Currency. Why it matters: It's the first time that bank regulators have indicated that they're going to grant a national charter to a mobile bank. Up until now, startup banks have generally been layered on top of larger existing institutions, like Bancorp Bank or Cross River Bank. BBVA, which plays that role for Simple, is looking to get into the same game. But now the OCC is sending a message that there's an alternative: Startups can become banks themselves. When there's a gold rush, sell picks and shovels. Right now, there's a mad rush to cover every urban sidewalk in motorized scooters, with Lime and Bird both having crossed the 10 million ride mark already. The big picture: The big winners here are the companies producing scooters as fast as Lime and Bird can order them. E-scooters "weren’t designed with heavy fleet use in mind and often wear out after a few months," write Cory Weinberg and Amir Efrati in The Information. That's not great news for Bird and Lime, but it's great for the scooter manufacturers, principally Beijing-based Segway-Ninebot, which is currently making 200,000 scooters a month and selling them for between $300 and $400 apiece. Back of the envelope: That works out to revenue of about $750 million a year, which is surely much bigger than anything Bird or Lime are seeing. Tariffs are top of mind, however. "U.S. tariffs on imports from China [add] about 25% to the original cost of a scooter," Weinberg and Efrati report. Businessweek was sold for $5 million in 2009 to billionaire Mike Bloomberg. Newsweek was sold for $1 in 2010 to billionaire* Sidney Harman. Pearson's 50% stake in The Economist Group was sold for $731 million in 2015 to the billionaire Agnelli family. Time was sold for $190 million last week to billionaire Marc Benioff. The big picture: As media companies decline in profitability, they're increasingly being traded more as trophies than as businesses. Many billionaires expect a financial return on their media investments. But others, including Benioff, Jeff Bezos, Pierre Omidyar and Laurene Powell Jobs, do not. For them, owning a media property is a quasi-philanthropic way to invest in civil society. In terms of personal satisfaction and broader social acclaim, it's cheaper and more rewarding than buying a new yacht, or jet, or private island. *He was worth way more than $200 million, so he was a billionaire, don't @ me. The bottom line: It's long past time that this group became significantly more diverse. That's not going to happen if Wells Fargo replaces Tim Sloan with someone like Gary Cohn, as it reportedly attempted to do earlier this year. 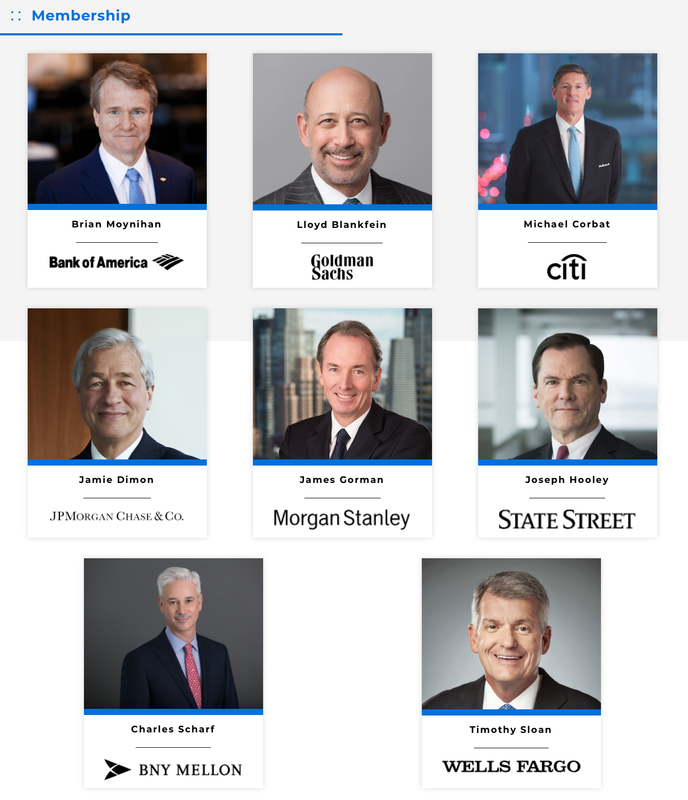 Right now the best prospect for seeing a woman on this page is Marianne Lake, JP Morgan's CFO; Jamie Dimon himself told Reuters that she "has all of the qualities of a great leader." The big question is when any changeover from Dimon to Lake might happen. Dimon (who is not running for president) has said he will remain CEO for another five years. That's a long time to wait. Women make up 33% of the workforce but own only 9% of the equity. Women are 13% of founders but own a mere 6% of founder equity. Female-led companies are valued at just 16% of the valuation of male-led companies. Black female founders have received an infinitesimal 0.0006% of all venture funding since 2009. Some context: Tilray went public in July at $17 a share. Tilray's market capitalization is still more than $10 billion, and 76% of it is owned by closely held Privateer Holdings. Peter Thiel’s Founders Fund, inevitably, is one of Privateer’s investors. Be smart: What you're seeing here is something between a bubble and a random number generator. "AI Superpowers: China, Silicon Valley, and the New World Order" is being published on Tuesday. I haven't read it and can't vouch for it, which seemingly puts me in the minority, given the number of blurbers who (almost certainly) haven't read it and yet are happy to vouch for it anyway. How influential is Kai-Fu Lee? Well, his blurbers include Microsoft CEO Satya Nadella, Salesforce CEO Marc Benioff, Singularity University founder Peter Diamandis and TED impresario Chris Anderson. Also on the very long list of blurbers: Arianna Huffington, George Shultz, Sebastian Thrun, James Fallows, Larry Brilliant, Joi Ito, Tim O'Reilly and many others. Robert Venturi, the master of postmodernism, died this week at the age of 93. 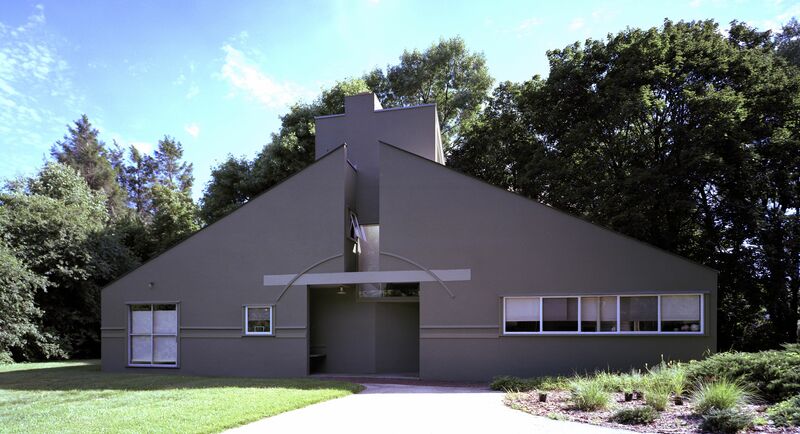 He built the Vanna Venturi House for his mother, between 1962 and 1964. It became known around the world as the first postmodern building.